Fondly known as "Narrowboat Dan" on the Dirty Boxers Show, Daniel Mark Brown is an adventurer at heart. Growing up on the Welsh Borders, Dan is a Shropshire lad born and bred. He has been writing short stories, novella and poetry for a number of years, drawing inspiration from the idyllic hills and farmland surrounding his home town of Oswestry. Living so close to the canals that run through Shropshire Dan found himself drawn to the idyllic natural surroundings and moved onto a narrowboat soon after turning 25, living surrounded by nature Dan hopes to keep this lifestyle for many years to come and enjoy the benefits of such a creativity inspiring environment. Publishing his first collection of short stories at age 24 in mid 2011 and releasing several books since, he has high hopes for the future. The Narrowboat Lad tells the true story of author Daniel Mark Brown's first steps into the world of living on a boat. 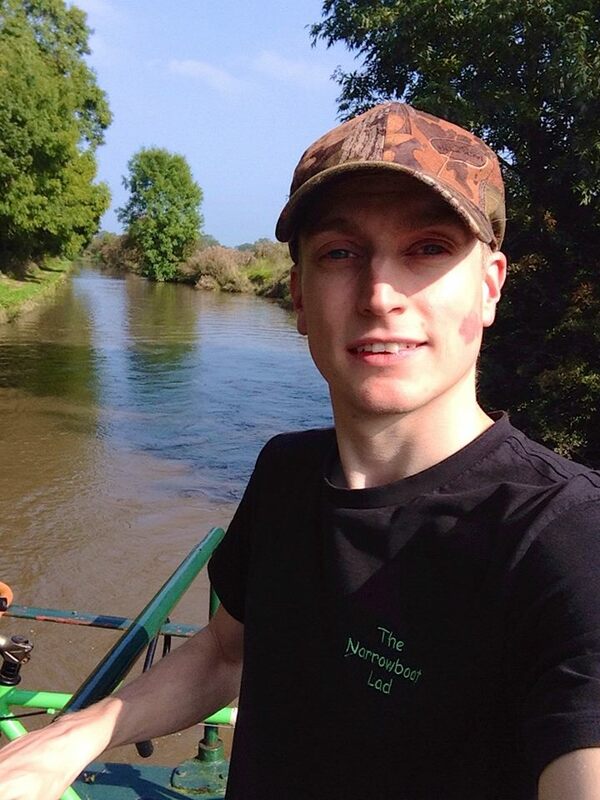 At the age of 25 during the summer of 2012 Dan found his ideal home, the fact that it was nearly 100 miles of canal away from his workplace, friends and family gave him a rough and ready introduction to what it meant to own a boat as his first task was to travel the slow way home... in his home. Dan recounts the first trip day by day, the highs of being a homeowner where every room has a view that can change daily, the lows of having steam burst from below deck and an overheating engine and everything in between from the perfect natural surrounds to the long hard days of lock working. After the long trip home we are then given a view of his first year onboard as Tilly the narrowboat is transformed into a full time home and the seasons bring their own tint to boat life, particularly a winter that wont soon be forgotten. Written with honesty and humour Dan gives readers an insight into living on a boat, his own life and personality and why people in his local area instantly know who someone is referring to when they say "The Narrowboat Lad". 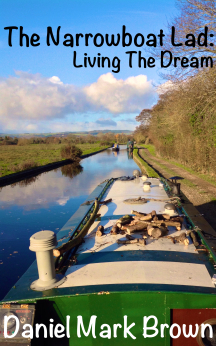 The Narrowboat Lad: Living The Dream tells of the true experiences of author Daniel Mark Brown's first 18 months living on a boat. Dan gives us an insight into what day to day life afloat is like. From the scenery outside to his low cost of living, the fun and excitement of travelling down the canal on perfect summer days and bitter cold morning commutes. There is more to canal life than painting castles and flowers on the side of a boat in bright colours. At the age of 25 Dan found his ideal home, the fact that it also happened to be a boat has led Dan to live a rather alternative lifestyle. Waking up to nothing but nature and travelling through amazing rural locations that seem to fit better on a postcard than anywhere else is only a fraction of what narrowboat life can be. Written with honesty and humour Dan gives readers an over the shoulder look at his life with the same energy and attitude that has kept tens of thousands of viewers tuning into his YouTube channel each month. After living on a narrowboat for two years Dan is still loving life afloat. 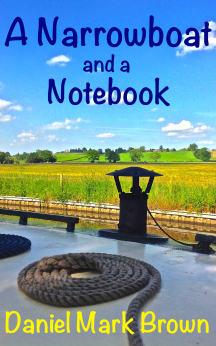 In "A Narrowboat and a Notebook" Dan takes his trademark casual style and looks at his life onboard so far. 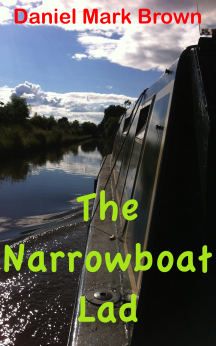 With a conversational, honest and accessible approach the author talks about his own experiences as well as offering a few insights into what he has discovered about various areas of narrowboating in general. There have been many highs and lows during his time onboard Tilly and as time has passed Dan has recorded many of these moments in his own handwritten diaries. A resource which he can call on for dates and times of big events but also to see how he was feeling about life at the time. These diaries are used to bring this book to life by sharing actual memories with the reader as they were written down at the time. The book tells of a young man settling into an alternative lifestyle. A lifestyle that allows him to enjoy a huge amount of free time out in the picturesque Shropshire and North Wales countryside which surrounds the Llangollen Canal. A lifestyle that suits Dan's outlook on life perfectly.